Snap on wheel clamp fitted in under 10 seconds. 10/10 for security in AutoExpress tests. 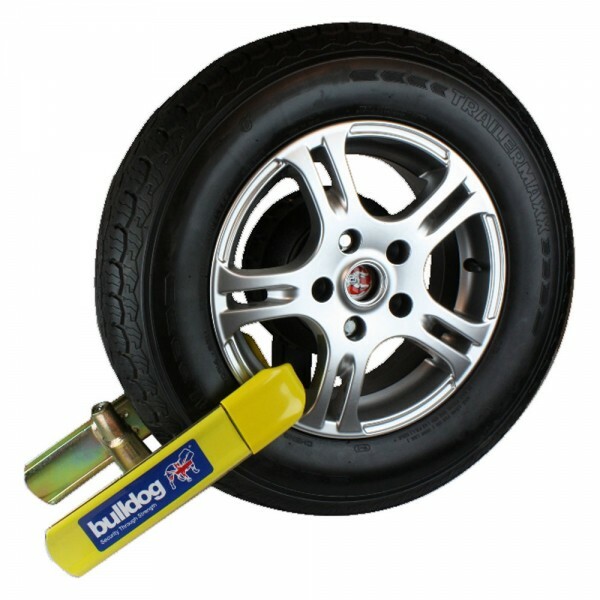 A super tough, snap on wheel clamp for car, caravan, trailer or 4x4. 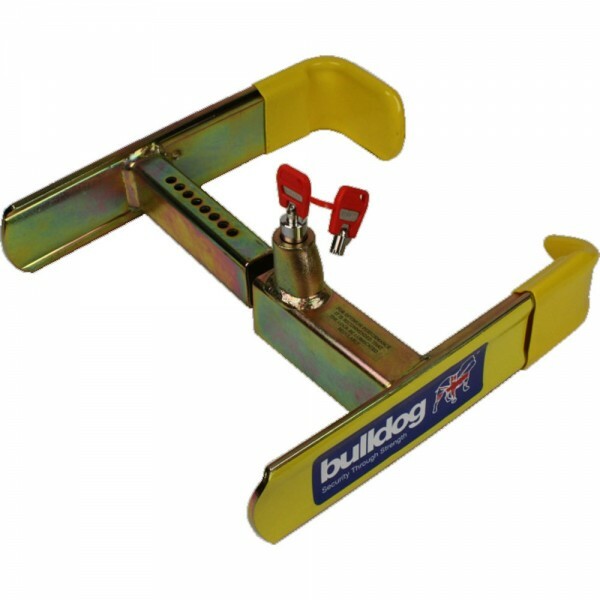 The Bulldog Euroclamp has two strengthened steel arms which reach around the tyre, slot together, and are locked with Bulldog's plunge lock. To choose model measure tyre width and the distance between the tyre edge and the rim or hole in trim and check the fitting chart. High security, integrated drill and pick resistant lock. The clamp is Sold Secure approved only when used in conjunction with Bulldog Locking Wheel Bolts or Nuts. The EuroClamp includes Bulldog's Highly developed lock, 10 pin drill and pick resistant with a million plus possible key combinations. The clamp has multi fit holes, adjustable to fit varying tyre widths. The clamp features simple snap shut locking - the key is not required for locking. The Inner and outer arms are constructed from 75mm x 6mm steel with reinforcing strips on the inside faces for added strength. The inner arm protrudes deep into rear of wheel to fit between rim and brake disc / drum. Plastic sleeved ends on both inner and outer arms protect wheels from damage. The clamp's steel components are zinc plated for corrosion resistance. 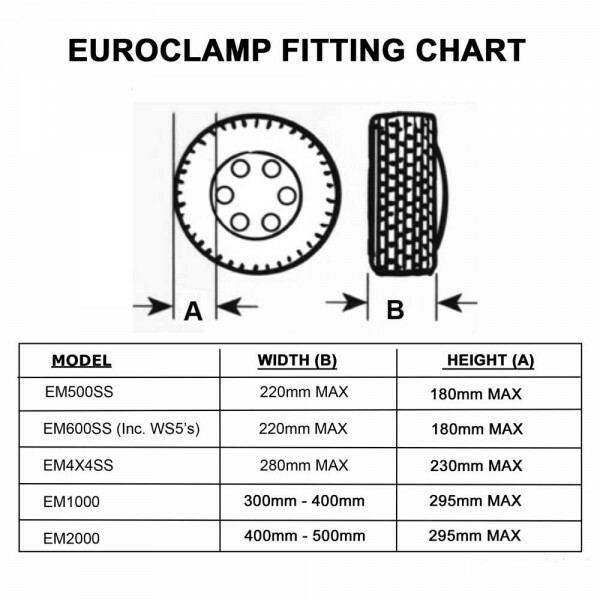 The EuroClamp EM600SS model is supplied with Bulldog Locking Wheel Bolts suitable for most alloy wheels (Bulldog part WS5) for a Sold Secure ready solution. Bulldog locking wheel bolts for steel wheels are also available to order separately.